With Koach App, VIP CAB is more powerful than ever before! Driver Friendly and fair Call us at 202-269-4444 to find out more. VIP CAB is one of the premierDC Taxi fleets in the Entire DC Metropolitan tri-state area as well as Baltimore City, Anne Arundel County and Annapolis. We offer prompt, efficient and safe transportation services twenty four hours a day, seven days a week. We have services to Reagan National Airport (DCA), Dulles Airport (IAD) as well as Baltimore-Washington Airport (BWI). We also transport to all train and bus stations in the Baltimore-Washington area. We offer corporate accounts, deliveries as well as courier services. We accept all major credit cards in every one of our locations including Washington DC, making us the only current cab company to take credit cards in the nation’s Capital. If you would like to use any of our services, please feel free to contact one of our locations, our friendly staff are standing to take care of your transportation needs. Please feel free to contact VIP CAB at: 202-269-9000 or visit the Online reservation section to book your trip online now. VIP CAB now offers a ride now or reserve your ride for later option. Whether you need a quick ride or planning business travel across the city, book your DC taxi on your Android or iPhone mobile phone with the new KoachTM App . Meet a top rated driver before they arrive, track the driver’s arrival time and rate your experience afterwards. There will never be a surge fee and you can pay your driver with the app or cash. We’ve had the privilege of serving many of region’s premier institutions and businesses, our clients vary from large government departments to the small businesses and none profit organizations. Wait time begins five (5) minutes after time of arrival at dispatch location. No wait time charged for premature response to a dispatch. Wait time charged while taxicab is stopped or slowed to less than ten (10) miles per hour for longer than sixty (60) seconds. Wait time charged for delays or stopovers at the direction of the passenger. $35.00 for the first one (1) hour or fraction thereof. $8.75 for each additional fifteen (15) minutes or fraction thereof. Group or Shared Riding: as each passenger arrives at his or her destination fare due shall be paid by passenger(s) leaving the cab. Airport Surcharge or toll paid: if any, amount charged shall be the same amount that was paid. With Koach, VIP CAB is only a tap away. 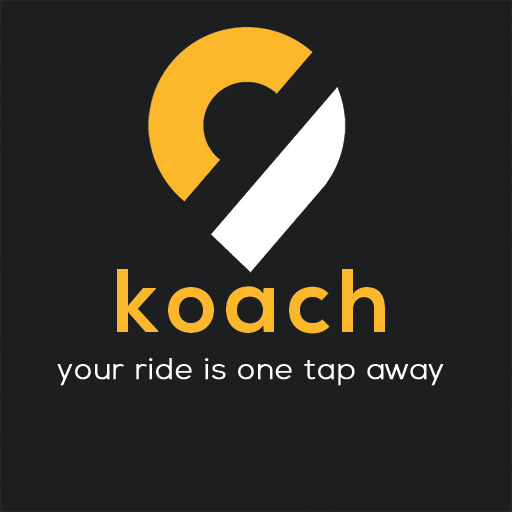 VIP CAB is proud to announce that we have joined the Koach App Coalition, to launch the largest local e-hailing service in the DC Metropolitan area as well as the state of Maryland and we’re expanding rapidly. Copyright 2012 - 2018 | VIP CAB COMPANY. ALL RIGHTS RESERVED.